Raise your hand if you’re a small business owner using our service. (Tons of hands shoot up in the air.) Ok, so you probably get the point. Thousands of small business owners are obsessed with SMS. They like the ease of use that comes with text messaging, and an open rate that puts them at the forefront of customer communication. But, a handful of these small business owners are missing out on a huge opportunity. How so? They don’t know what their subscribers actually want. 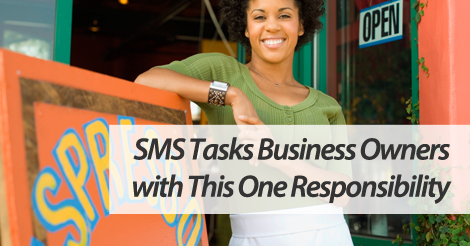 So, what’s your #1 responsibility as a small business owner using SMS? Think about it. If you don’t know your subscribers, you’re pretty much floating up a creek without a paddle. If you don’t know what they want, how do you expect offer redemption to increase? It just won’t. Before you start composing your first SMS marketing campaign, ask yourself these three questions. What type of offers do my subscribers consider valuable? How many times per month would they like to receive messages? What time of day are they most likely to engage? If you don’t know the answers to these questions, don’t send your SMS marketing campaign. In fact, pause all campaign composition efforts until you can thoroughly answer each. If you don’t know your subscribers, then don’t waste time marketing to them. Take a few days to sit down with your team and do a bit of market research. When you communicate with your customers via SMS, you must provide exclusive and high value offers. If you don’t know your subscribers, you’ll struggle to regularly deliver this kind of value. Partner up with the best SMS marketing service on the block. Give us a buzz at 1.800.688.6290 to learn more, or head over to our pricing page and sign up for a free plan. Want answers to your more in depth questions? Shoot an email over to info@slicktext.com.